Engagement session season is in full swing and I have some engagement sessions coming up that I am SO excited to shoot! : ) One of the toughest part of engagement sessions is figuring out what location you want to do them at. 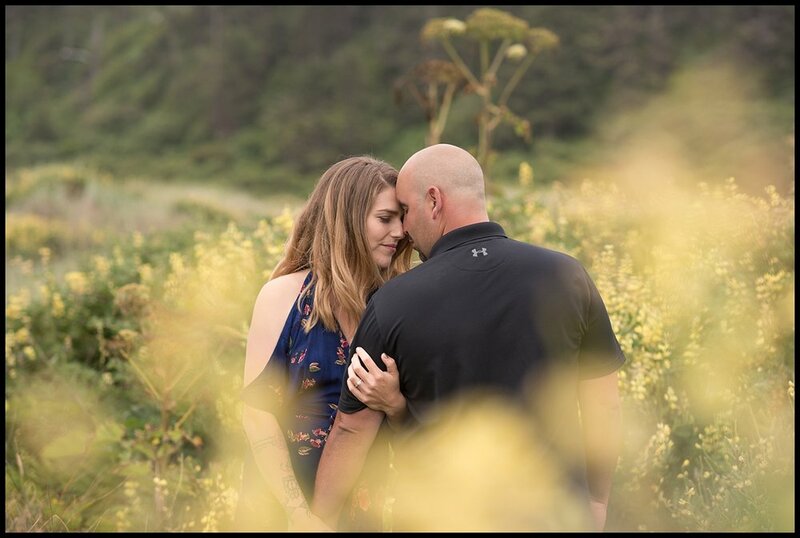 If you are the dynamic duo type that loves beautiful sunsets, the sound of waves crashing along a shoreline and the feel of soft sand beneath your feet, you might consider a beach for your engagement session. Spring might be in the air but summer is just around the corner! Sandy shores are a great destination but pristine beaches really are an ideal spot for a truly romantic engagement sessions. Beaches with breathtaking panoramic ocean views such as Black Sands in the remote and romantic location of Shelter Cove CA , create the ultimate setting for a perfect beach engagement. If you are looking for the perfect backdrop setting of an unforgettable proposal, consider exploring the rugged Lost Coast!